This is the most wide-spread white grape variety in the world that discovered an ideal environment in Sicily for producing wines possessing richness and aromatic intensity. Acate in the province of Ragusa. The grape prefers more barren terrain with lots of sunlight. The type of farming is “Espalier”, used with an average density of planting where there are 4500 plants per 2.5 Acres. 100% Chardonnay. It is an average – early varietal with maturity reached around the end of August. Collected from the grapes, the vinification is partially covered by the air (a technique called “semi-reduction”), the settling is natural, and the fermentation takes place at a controlled temperature of 16 degrees for 13 days in steel tanks. 15% of the must matures in wooden French barriques. Successively, the 2 components are united and conclude their maturation in steel. Finally, there is filtration, stabilization, and bottling. Color: Straw yellow with hints of gold. 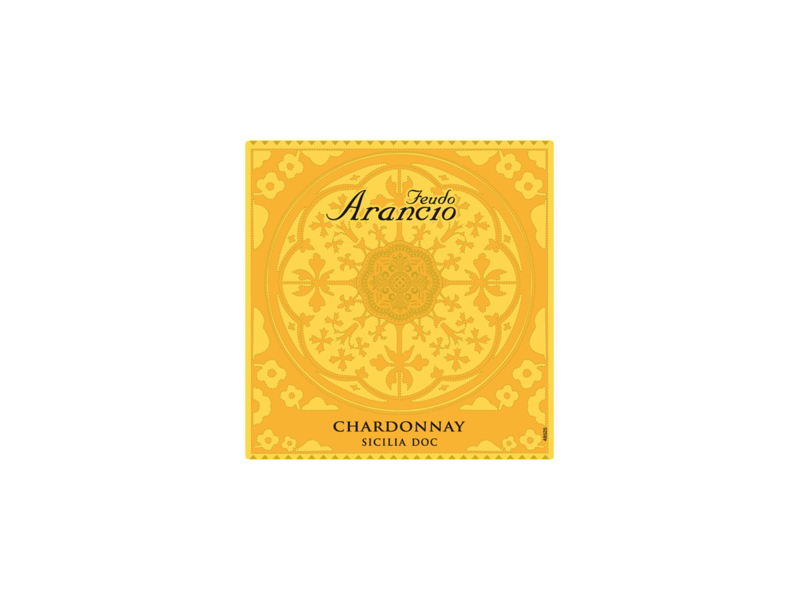 Bouquet: Intense and persistent, with hints of pineapple, tropical fruits and vanilla that tend towards acacia nectar with aging. Flavor: Harmonious and balanced, with pleasant viscosity that balances the delicate acidity. This wine goes well with antipasto of raw seafoods, first courses of pasta with vegetables, and second courses of white meats. It should be tried paired with creamy soups such as cream of potato soup of Siracusa.